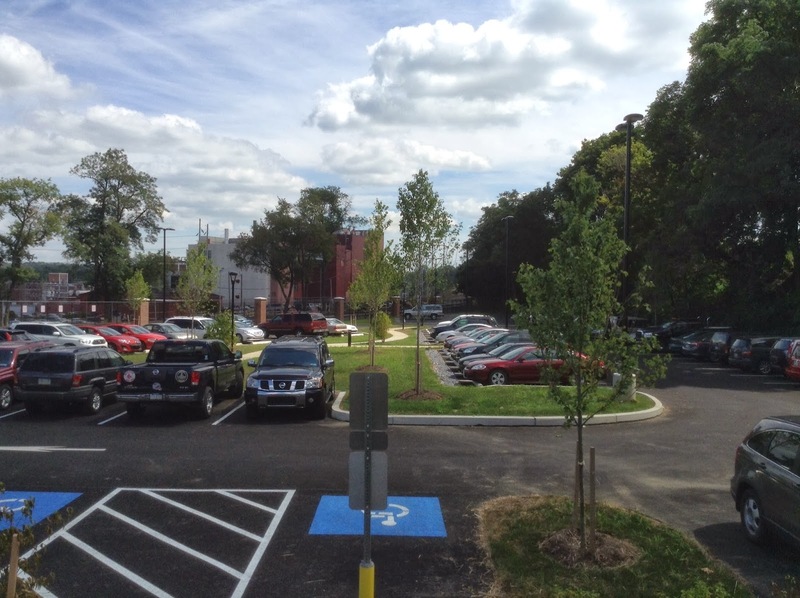 The Lancaster County Planning Commission awarded Elizabethtown's new long-term parking lot at the Amtrak Train Station with one of its Envision Lancaster County Leadership Awards on Feb. 25.
the use of high-efficiency LED lighting. Working with the borough on the design of the lot were C.S. Davidson, Horst Excavating, Hanover Engineering Associates Inc. and Derck and Edson Associates. The Envision Leadership Awards program recognizes the actions of municipalities, developers, consultants and community groups that embrace smart growth concepts and highlights the advantages of good planning. The county planning commission's website says the program "is intended to raise design and planning awareness in our community, while encouraging the support of planning activities and projects that foster smart growth. By recognizing the actions of municipalities, developers, consultants and/or others who embrace smart growth concepts, this awards program highlights the advantages of good planning." I have to give credit to the borough's staff, all of whom had the vision and worked hard to make the parking lot a reality. It's great to have that work recognized on a professional level, and I am proud that Elizabethtown has a committed staff that is implementing a plan that will stimulate economic development for the borough and make it an even better place to live.